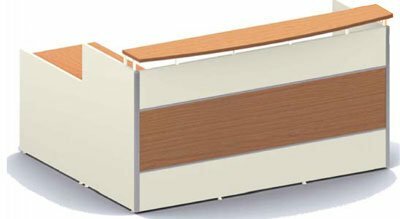 Get your reception desk at the best possible price. For your convenience, we supply, deliver and fit throughout Wollongong, Sydney, Sutherland and Southern Highlands, Canberra and beyond. Make your office reception impressive with modern, professional and efficient reception furniture. Let your public know upfront that your business or organisation is worth their time and energy with a slick reception counter. Let your reception staff know they are important to the running of your business or organisation by giving them an awe-inspiring reception to operate in. 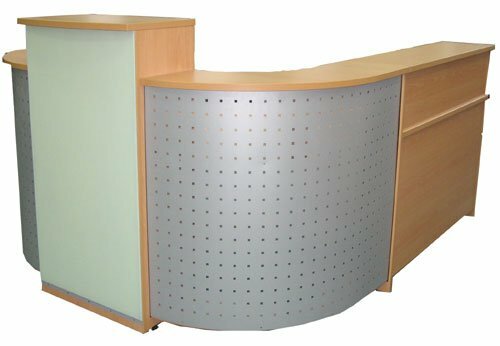 Your reception desk… Up to the task!!! Reception counters often function as a central hub for the office. They need to accommodate various items of equipment, like telephone switchboards, fax machines, computers and photocopiers, as well as various stationery items. They also perform mail and freight handling. We have a range of reception desks to pick from with something that is sure to suit your office. 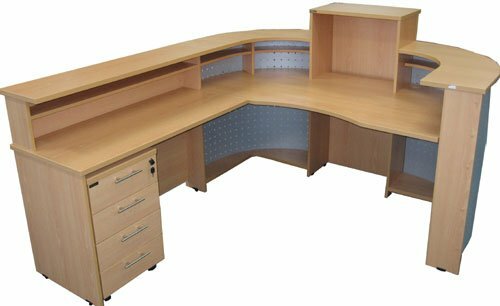 Contact us for your reception desk needs on (02) 4261 3055.